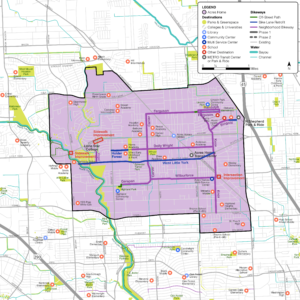 The city-county partnership established in April 2018 is an exciting opportunity to begin implementing the Acres Home Action Plan under Mayor Turner’s Complete Communities Initiative. In the plan, residents stated their goals to nurture healthy, active lifestyles and improve residents’ well-being. 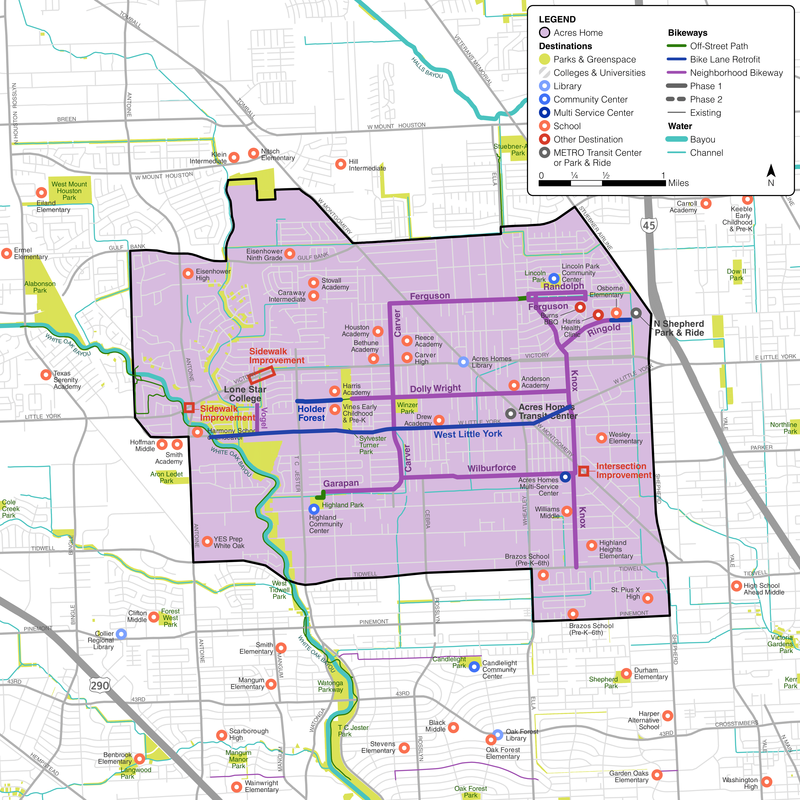 The city-county partnership can be an opportunity to connect pedestrians and bicyclists (and horse riders!) to area schools, transit and parks. Can’t attend a meeting? Please submit a comment online or contact the Houston Bikeways Program at 832-395-2700 or bikeways@houstontx.gov. 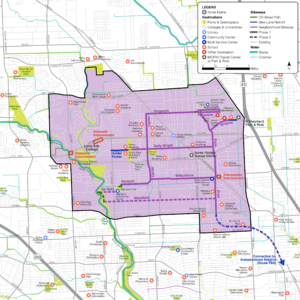 Phase 1 represents routes that passed a preliminary feasibility analysis. Phase 2 represents routes also identified by the community, but are not feasible to implement by April 2019, as they are long-term projects. April 13, 2019 Pop-Up Bike Lane Event at Family Day in the Park. 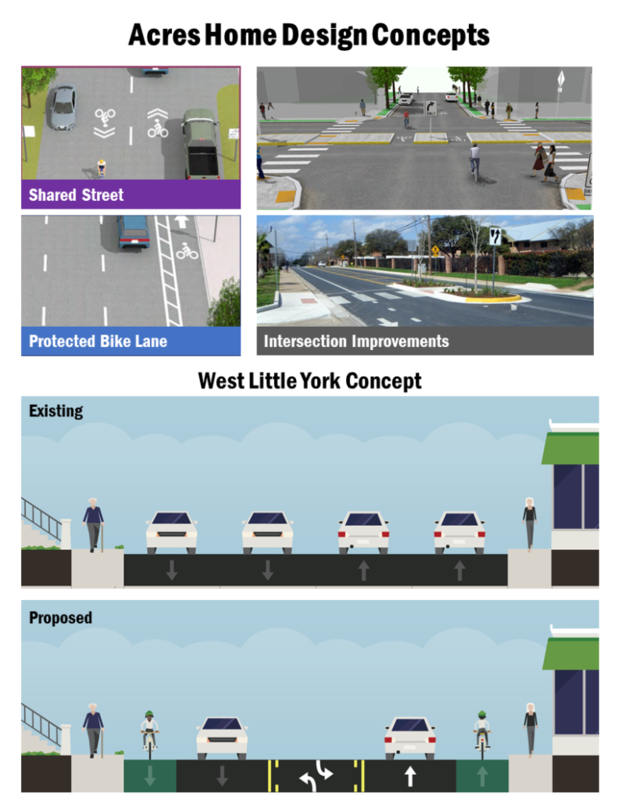 Staff previewed a portion of protected bike lane on West Little York for residents to experience and provide feedback. June 16, 2018 City staff attended the Acres Home Juneteenth Parade to gather further input on the proposed bikeways and the community’s priorities to implement first. Thirty responses were received, as well as one additional response at the June Super Neighborhood meeting. Click here to view the survey responses. For more information, please contact Houston Bikeways Program at 832-395-2700 or bikeways@houstontx.gov.